In October 2017, I brought an exclusive story of a mysterious sacking at the University of Edinburgh. The molecular biologist and epigenetics researcher Irina Stancheva was removed from her post as senior lecturer at the Scottish university, in total secret, all online traces of her employment rapidly deleted (even a promo video on Vimeo), her freshly obtained graduate school money redistributed to her faculty colleagues. The journal Nucleic Acid Research (NAR) soon after silently removed Stancheva as its Executive Editor. Still, I was able to gather some information, including leaked emails from Stancheva’s Head of Department David Gray (read here), but mysteriously no other media covered the story. Either heavily funded senior lecturers get sacked in Edinburgh on a weekly basis, or the university holds the newspapers in a vice grip in the Stancheva case. All my attempt at freedom of Information (FOI) were rejected by University of Edinburgh. There is a lot to hide: Stancheva is a third generation Edinburgh elite biologist: academic daughter of Professor of Human Genetics Richard Meehan and academic granddaughter of Meehan’s mentor, Professor of Genetics and Nobel Prize candidate Adrian Bird. Both Edinburg professors are co-authors on Stancheva’s papers flagged on PubPeer. Now, after 8 months of silence, I received out of the blue an email from the same data protection officer who used to deny telling me the time of the day, with a list of Stancheva papers about to be retracted. The list follows below. The Stancheva data manipulations were listed on PubPeer since 2015, I approached the university about those in October 2016. As I learned, that email promoted University of Edinburgh to speed up an otherwise mellowing non-investigation into a tour de force, which ended up with Stancheva’s removal in June 2017, followed by a sack. On October 13th, I place a FOI inquiry about the Stancheva investigative report, where I also asked about decisions on retractions and whether Stancheva’s mentor Meehan himself was investigated. The university denied my FOI inquiry due to privacy and confidentiality. I requested an internal review, that was denied for same reasons, by the Data Protection Officer Rena Gertz. After that, I approached the Scottish Information Commissioner, who told me I must go back to University of Edinburgh and place another request for review. Which I did, arguing that senior scientists cannot hide behind confidentiality in misconduct cases where millions of public money were embezzled. University of Edinburgh took their sweet time once again to deny also that request. The issue was back with Information Commissioner in March 2018, who finally achieved a first success. Prompted by the Scottish Information Commissioner, Edinburgh’s data officer Gertz sent me today this list of papers to be retracted or in fact only partially retracted. The latter is a model introduced by EMBO Press which allows dishonest authors to retain their manipulated papers as citable and CV-listable, and the publisher to pretend that by removing the most fake of figures the rest of the paper becomes scientifically solid and 100% reliable. A win-win situation for everyone, apparently. It was successfully applied to preserve the integrity and careers of upstanding scientists like Olivier Voinnet and Maria Pia Cosma. And soon apparently also for Stancheva. Also Genes and Development was asked for partial retraction, and is likely to oblige, given how this journal kept correcting a rigged Voinnet paper. This is the message from University of Edinburgh to me. I added hyperlinks, and interrupt it with my comments, illustrated with PubPeer evidence. Molecular Cell: Klose et al (2005), doi: 10.1016/j.molcel.2005.07.021 . A collaborative study to which Dr Stancheva contributed only one figure. The appropriate action should be considered by the journal editor”. Obviously University of Edinburgh wouldn’t like to see this paper retracted, as its last author is Nobel prize candidate Adrian Bird. 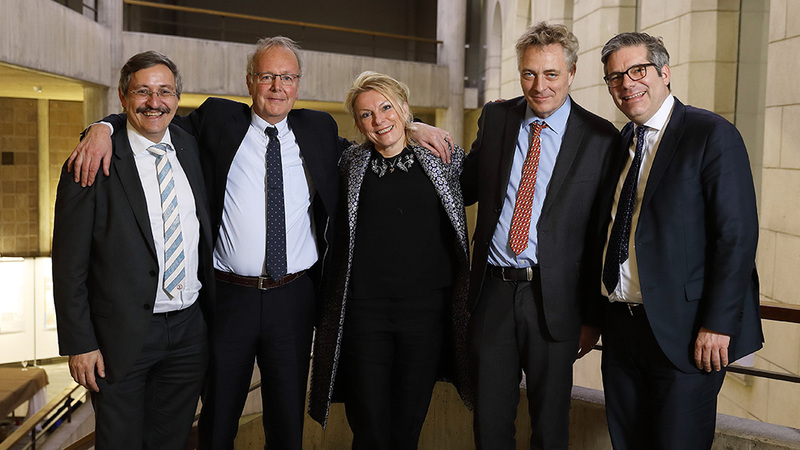 As the university indicated when celebrating Bird for receiving in 2015 “one of the world’s most esteemed medical prizes“, the Canada Gairdner International Award: “Around a quarter of the recipients of its International Award have subsequently gone on to win a Nobel Prize“.On top of that, first author Rob Klose is professor in Oxford, funded by ERC, EMBO and Wellcome Trust. A retraction would be therefore most awkward here, for both the first and the last author, this is also probably why the investigators decided that Stancheva only contributed that that Figure 1, and nothing else. 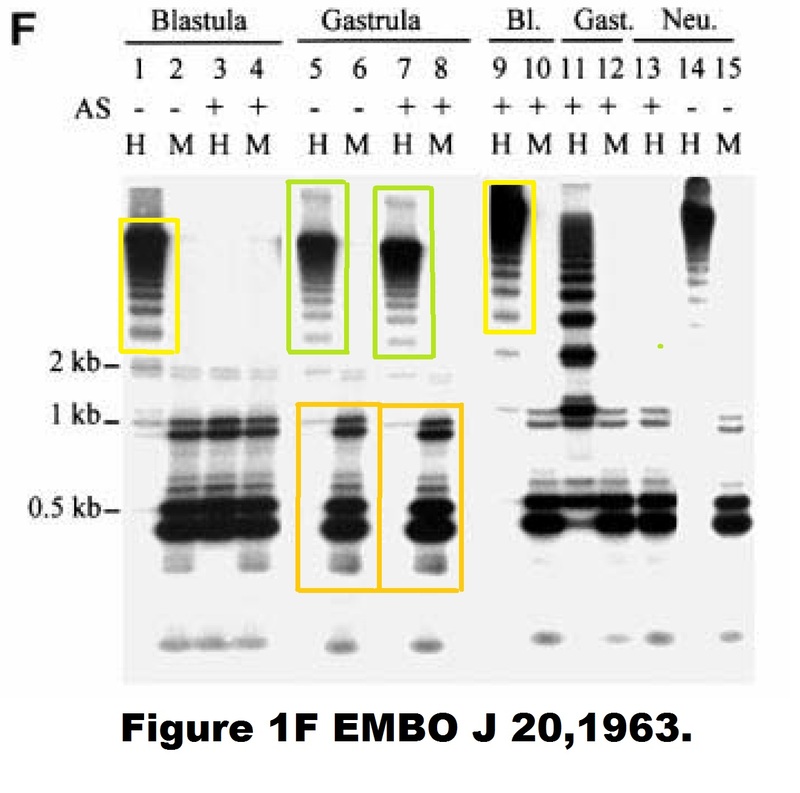 That figure is indeed utterly fake (see PubPeer evidence), but then what about the Figure S1 and its recurrent gel bands? The paper is definitely a train wreck. Same loading controls stand in for all possible gels, while gel bands multiply and pop up all over the place. Here is just one example, the rest can be admired on PubPeer. “Professor Gray wrote to the editor of Molecular Cell in October 2017 to recommend these full or partial retractions. 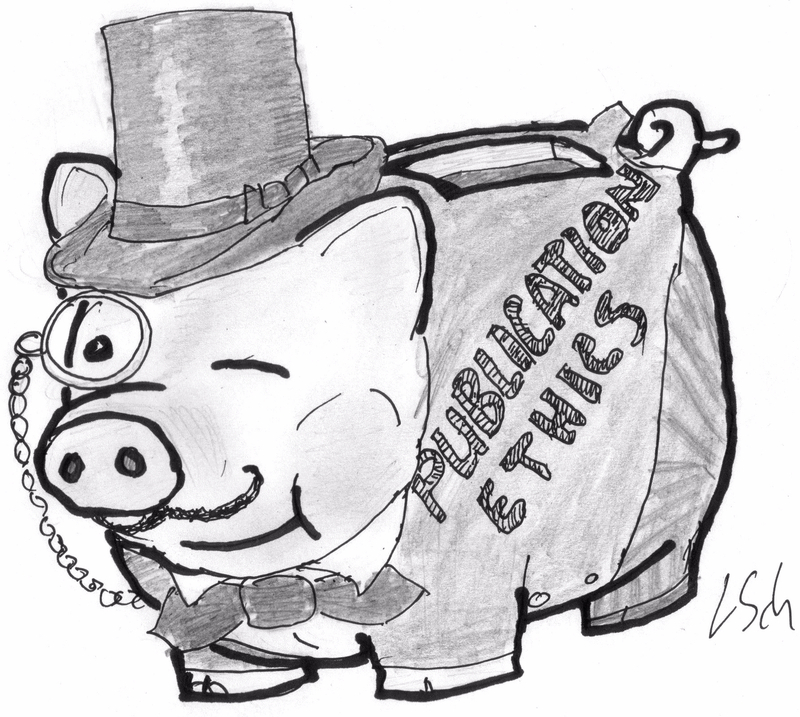 We understand the editor is still discussing the wording of retractions with the authors. Genes & Development: Stancheva and Meehan. (2000) doi: 10.1101/gad.14.3.313 . A partial retraction of the manipulated figures should be issued. A partial retraction of the manipulated figures should be issued. Or here another one, showing 8 bands of which four are copy-pasted. Probably just as irrelevant a figure, a placeholder to decoratively pad out the paper with no scientific message whatsoever intended. After all, the paper can stand scientifically 100% solid even without the fake figures 1, 3 and 5. What are those according to University of Edinburgh? Figments of someone’s imagination? Or maybe the Scottish investigators did follow the cues of their French colleagues from Sorbonne University and figured out that those digital gel fragment copy-pasting are in fact scientifically appropriate? Or how did those bits of background in Myant & Stancheva Molecular Cell Biology 2007 become so similar? Obviously the fact that University of Edinburgh overlooked those issues has nothing to do with Kevin Myant being their own group leader, Cancer Research UK-funded fellow since 2016 (GBP 1.5 mn) and ERC awardee since 2017 (GBP 1.3 mn). And finally, it is sad that University of Edinburgh refused to resolve the argument between PubPeer commenters and Stancheva herself. Even after her posting of the original gel image, concerns remained that the gel bands therein still look too similar. Affected is Clouaire et al NAR 2010, published in the journal where Stancheva used to be Executive Editor. A journal which is known to never find anything untoward in papers they publish (see here). Now that University of Edinburgh broke the silence, Scottish and UK media might be reporting on the Stancheva case after all. With at least 2 full and some partial retractions coming soon, maybe even Retraction Watch might eventually find the Stancheva story newsworthy. You know where you read about it first, already in October 2017. Just like Cardiff a few years ago, Edinburgh will probably investigate, and whitewash, a second time. It’s as if Lance Armstrong should still keep his Tour de France titles, only lose some of the stages won and continue to compete as nothing has happened. What is the leadership at the University of Edinburgh thinking? Where is their eyesight?! What kind of rat ship are they building? The leadership at Edinburgh University was thinking of how to protect Adrian bird and win a Nobel prize. Klose RJ1, Sarraf SA, Schmiedeberg L, McDermott SM, Stancheva I, Bird AP. Wellcome Trust Centre for Cell Biology, Michael Swann Building, University of Edinburgh, Edinburgh EH9 3JR, United Kingdom. Figure 1B Mol Cell. 2005 Sep 2;19(5):667-78. Six months since your article, but no retractions have appeared. It might have to do with the kind of scientists Stancheva’s academic grandfather Sir Adrian Bird keeps company with! Tammy Wynette sings what the Univerity of Edinburgh and the MRC do. Younger woman dimissed, older man still there. Genes Dev. 2000 Feb 1;14(3):313-27. Transient depletion of xDnmt1 leads to premature gene activation in Xenopus embryos. Genes and Development Group, Department of Biomedical Sciences, University of Edinburgh, Edinburgh EH8 9XD Scotland, UK. Figure 3. Additional problematic data in blue. Problematic data seems to start in Edinburgh.